For over 20 years Off World has spent countless hours researching and developing Deep Space Technologies necessary for Interstellar Space Travel. Listed here are some of technological advances we are building upon, as we inch closer to our Interstellar Space Technologies goal. Off World Investment Institute Inc. comprised of these divisions: the Extreme Velocity Research Corporation, Bio-Autonomic Systems, Deep-Space Communications, Quantum Defensive Technologies, Background Power Systems, Off World Investment Markets and Earth Seed Bank. The current research and development structure comprises the extreme velocity research center which designs the space hardware systems for all R&D divisions of each company; have been re-evaluated with the expansion resulting establishment of three new space technology laboratories and one new space research center. The first of these Space Laboratories is the Bio-autonomic Systems Lab, which is responsible for researching bio-autonomics and developing advanced artificial electro-mechanical autonomic environments capable of sustaining life in space as well as developing autonomic software for all Space Research Divisions. The Deep-Space Communications' division is responsible for reliable long range communication development along with the new Intergalactic Positioning System Lab. Background Power Systems lab is redefining superconductors technologies for use in space. The Quantum Defensive Technology research center conducts advanced Space Tcehnology research and development for acquisition, deflection, repulsion and particle absorption technologies. The Deep Space Communication division has two components; the first has been to research Advanced Space Communications with neutrinos resulting in the prototype being ready for use in space. Our neutrino tracking system is the Future of Communications in space. The research thus far on this topic is available for review. The second, is to conduct Space Research through our Intergalactic Positioning System using spectrum analyzing radar, a linked system fires neutrinos then uses SA radar to scan the pattern they created around objects as small as a single atom. 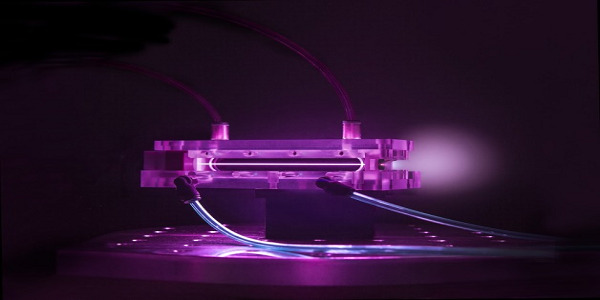 We have developed a magnetically shielded, ion injected propulsion system that has laser acceleration with controlled plasma ejection and requires only electricity as it runs in a vacuum on vibrationally acquired, electrically stimulated virtual particles. In the most recent test, the ejection velocity reached 37257.6 miles per second in a process that took approximately 0.3 milliseconds to reach its full output velocity. A Space Propulsion System specifically designed with four propulsion ejection ports; giving spacecraft unparalleled maneuverability. This star hop Space Technology along with its external power system is revolutionary, and its influence will ripple through Space Technology Industries for years to come. To protect crews as they travel through space, we have created and patented a brand new advanced shield technology. This shield technology incorporates two of our previous designs to maximize crew safety. Infused with the A.I. balance control system of a stealth aircraft to keep two very different Space deflection Technologies synchronized. It also uses 90% less power than other comparably capable Defensive Deflection Systems. This technology is revolutionary and ready for use in space now. . . This is similar to a global positioning system, but they are designed as Special Space Operation Probes. Our three different Inter-galactic Positioning System Beacons use pattern specific neutrino communication, two with deflection technology, one has a 100+ year internal power source and one that scans the surface of a planet to show the ideal touchdown area, then lands, two with field intensity and acute large object avoidance systems controlled by spectrum analyzing radar, and they also assist spacecraft autopilot in finding a way back to our planet. Background Power Systems is a superconductor lab that researches New Space Technologies using all known aspects of electromotive force at or near -455 (°F) degrees or -2.96 (K) Kelvin. Space Research components are: Space Battery Technology, Integrated pure Power Surfaces, Superconductor Systems Integration and Cold Energy Extraction Technology. Contact Off World Investment Institute with any questions regarding the areas of Space Research in which we are currently engaged.